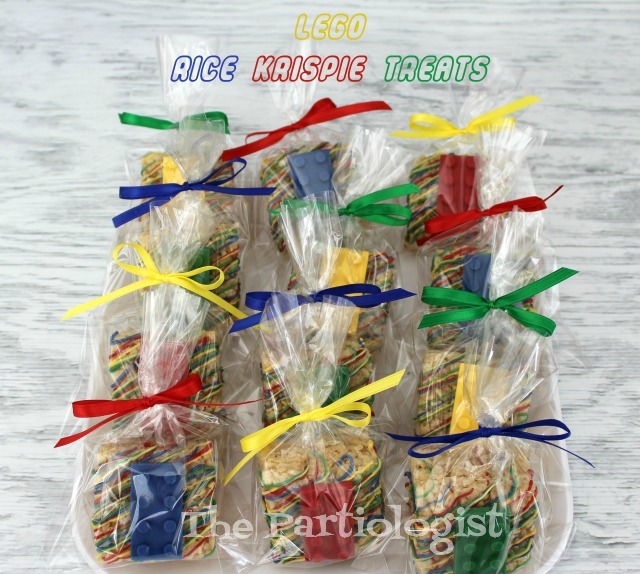 The Partiologist: Lego Rice Krispie Treats! When I found out my nephews were going to Lego Land in California, I was thrilled. Not only because I knew they would have a blast, but because I had a little mold just waiting to be used. So with a few colors of candy melts, I was good to go. Find my favorite RKT recipe HERE. 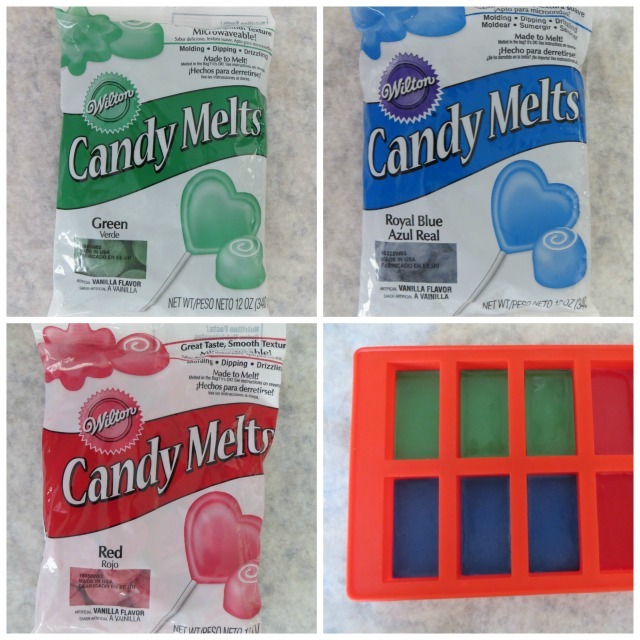 Grab four colors of candy melts and the block mold. See the little holes in each cavity? You want to fill your piping bag with melted candy melts and fill each hole first to make sure you won't get air bubbles. 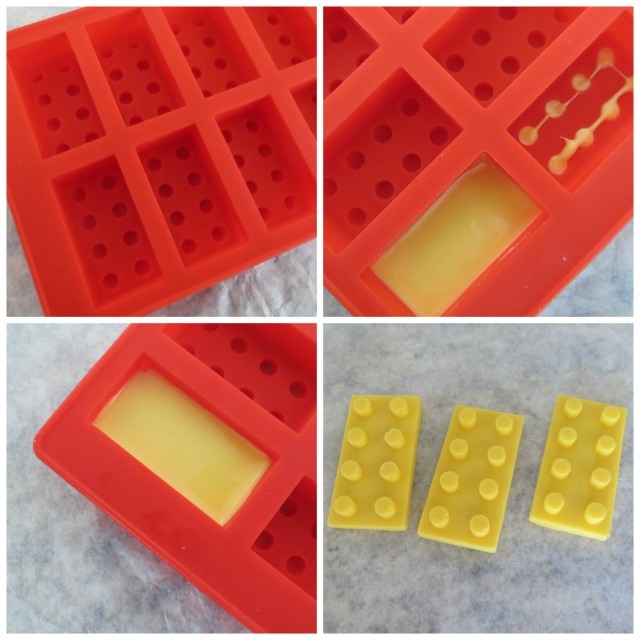 After the holes are filled, continue filling the mold. Place in freezer until firm and remove from mold. 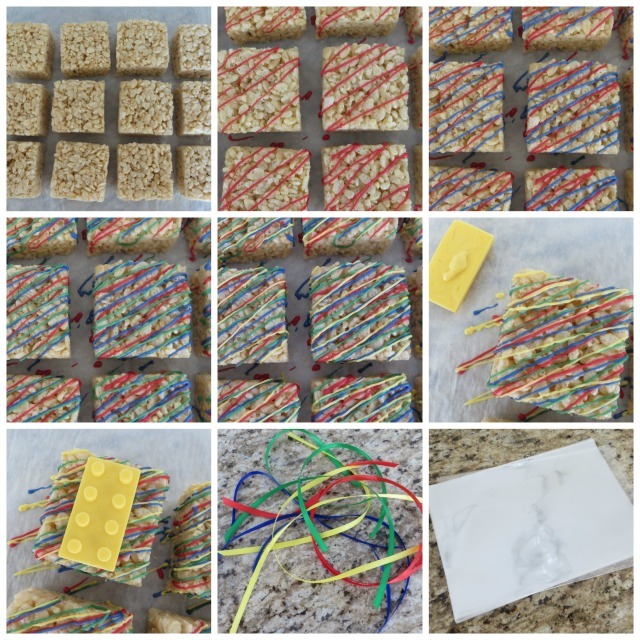 After making your rice Krispie treat, cut into squares. Drizzle a bit of each color candy melt across the top of the RKT. 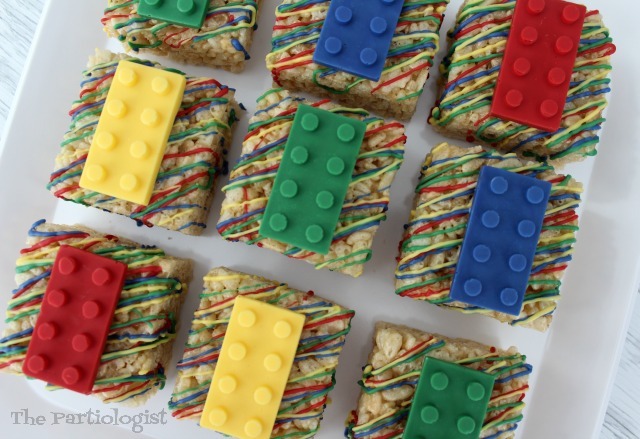 Immediately place a colored candy block on top. For gift giving, it's always fun to package. And even more fun to give! 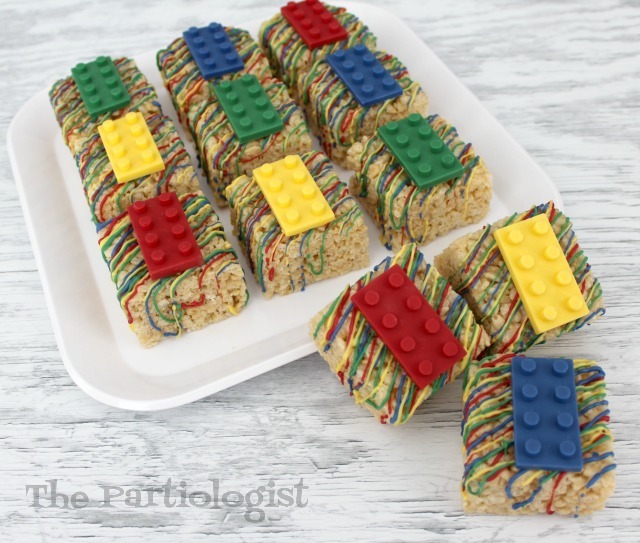 And the most fun to EAT! 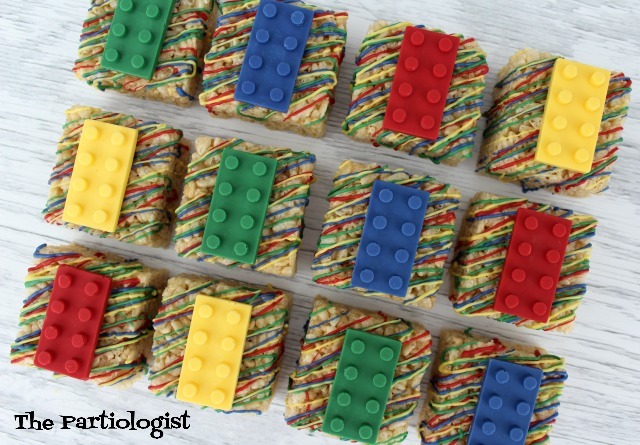 Now that I’m a Grandma, I might have to try making these! Where do you get the bags to pack your treats? Oh yes you will! :) I order online or pick them up at Michaels, Hobby Lobby or Joann's. Most all craft stores sell them.